Here's the official 6/58 Lotto Result, October 9, 2018 (Tuesday). 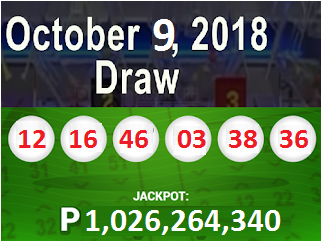 For PHP 20,000 up to Php 10,000 - you ,ay claim at any authorized Lotto outlet or at the PCSO Branch Offices in your area. Prizes above Php Php10,000 are subject to 20% tax pursuant to Train law.